Massive crowds of #GiletsJaunes protesters, march and sing in #ChampsElysées, #Paris. 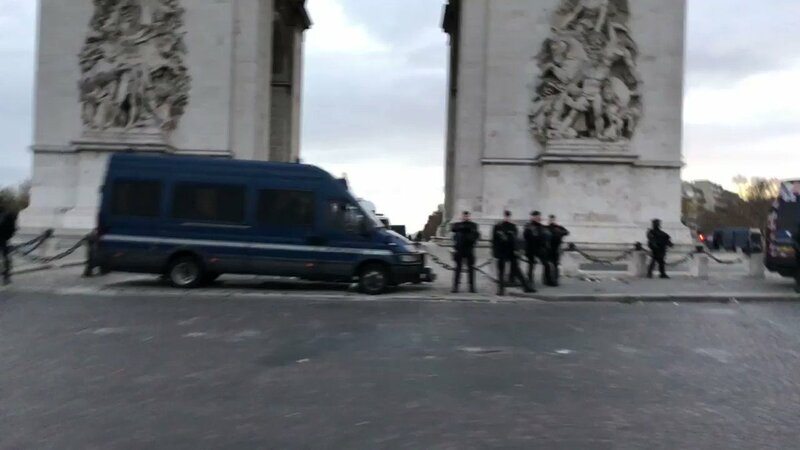 #Macron Regime Forces have barricaded the road with a line of Police Vans slightly farther down the street. Fantastic atmosphere in La-Seyne-sur-Mer last night, as #GiletsJaunes protesters wave French flags and car drivers blare horns in support. 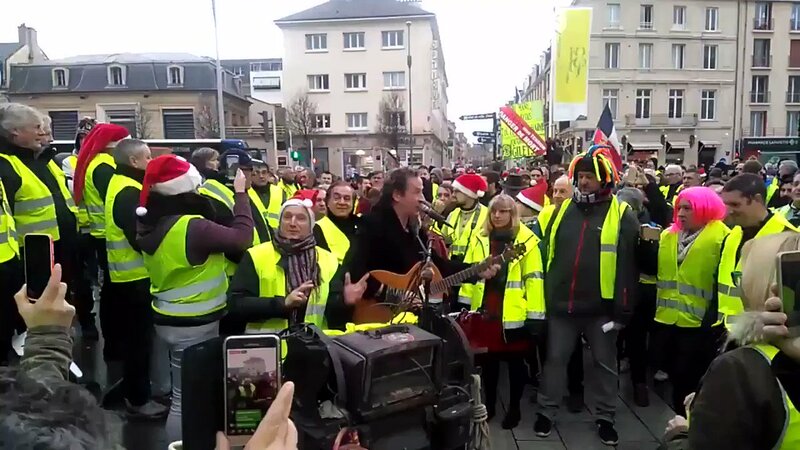 There are Yellow Vest protests throughout France, for the 8th time today. Farmers 🚜 support #GiletsJaunes protests in #Puyenvelay. Last week they sprayed large quantities of manure onto and into government buildings. 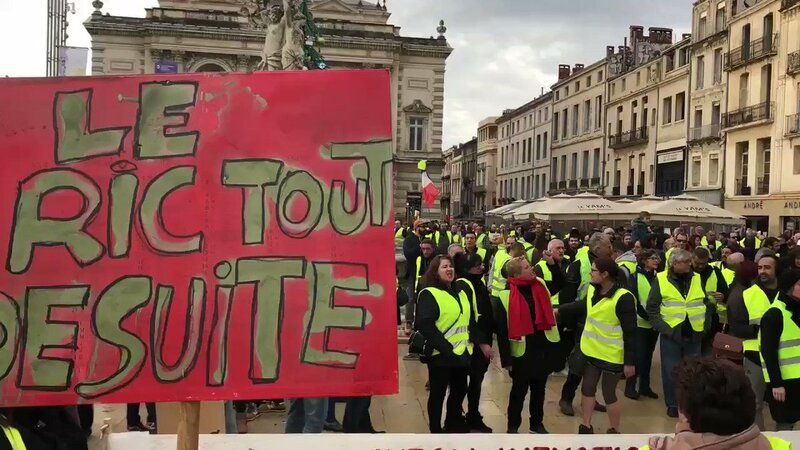 Large numbers of #GiletsJaunes march in #Tarbes Hautes-Pyrénées to protest against Macron's disastrous Neoliberal policies. Where is the international outrage condemning Macron for gassing his own people? Injured victim carried away for medical treatment by fellow protesters. 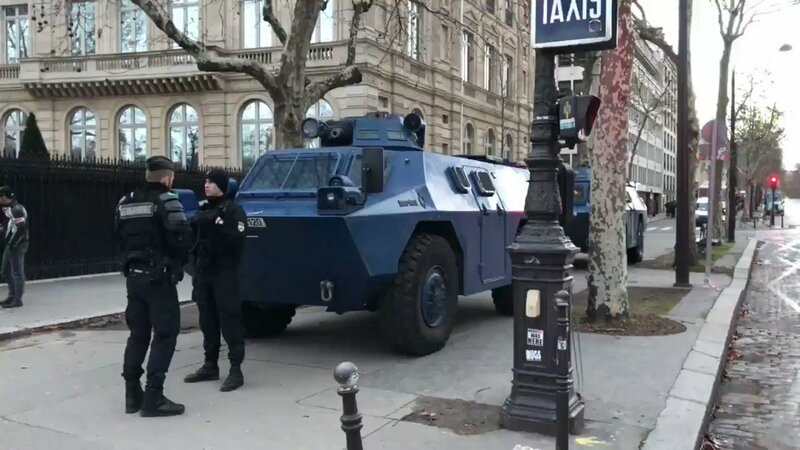 Macron Regime Forces fire massive quantities of Tear Gas at #GiletsJaunes protesters in #SaintNazaire. They should have checked which way the wind is blowing first! Thousands of #GiletsJaunes sing La Marseillaise in front of the Hôtel de Ville, in #Paris. The protesters will continue their march in Central Paris after speeches. #GiletsJaunes hold a Minute's Silence to pay their respects to the hundreds of victims injured by Macron's Regime Forces during recent protests. 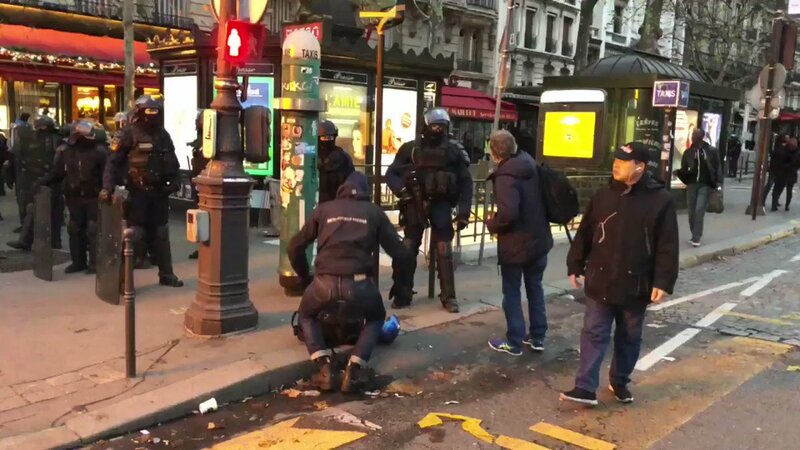 Macron Regime Forces beat up peaceful #GiletsJaunes protesters with clubs in #Paris. 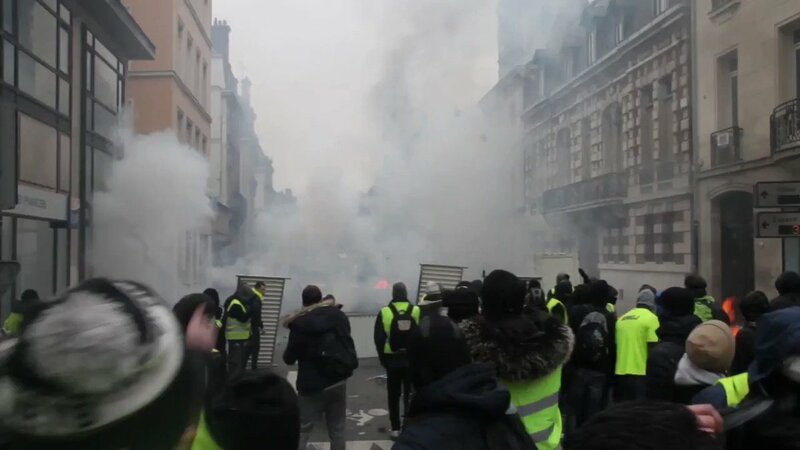 Brutal Macron Regime Forces fire Tear Gas and attack peaceful #GiletsJaunes protesters in #Paris. There are NO flags of the corrupt, anti democracy & Treasonous EU in any of the protests today. #GiletsJaunes protesters set fire to barricades in Boulevard Saint Germain, #Paris, as they are chased by Macron Regime Forces. Macron WASN'T elected - he was installed by the Oligarchs & Mass Media DELIBERATELY DECEIVING the people. Theresa May D-Notice to not report on #GiletsJaunes protests. The entire UK Mass Media are completely corrupt and will self censor anyway to protect the corrupt Neoliberal Corporate Globalist Establishment. The people who are complaining about non-existent "Russian Meddling" in the 2016 election are the SAME Media Presstitutes who CONSPIRED to RIG the election for Hillary. Les #GiletsJaunes sing La Marseillaise at #Montmartre, #Paris to protest Macron's disastrous Neoliberal Globalist policies which have caused so much widespread poverty & human misery in France. Thousands of #GiletsJaunes, protesting against Macron's disastrous Neoliberal policies, pour out of #Montmartre singing La Marseillaise. 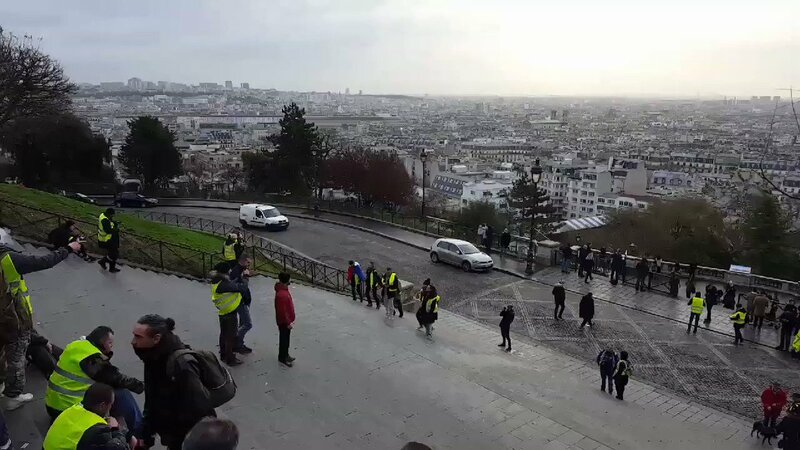 Thousands of #GiletsJaunes march out of #Montmartre to start #ActeVI, to protest against Neoliberal Globalist #Macron's disastrous policies, impoverishing the poor while enriching the wealthy. U.S. should get out of the Wars, & Stop Recruiting, Arming, Funding, & Training Terrorists. So called War on Terror" is a Giant Scam for the Military Industrial Complex. So what are the real reasons the US and UK governments started the War in Syria? The War in Syria was started by the US, UK, Saudi Arabia and Qatar arming terrorist proxies - it wasn't a "spontaneous uprising".